Amazon caused a significant tremor in Netflix’s share price earlier this week by announcing that its Prime Video streaming service will become a standalone offering and go head-to-head with Netflix. But the online retailer is far from the only competitor about which Netflix needs to be concerned. Much larger predators have eyes on the company’s market. You may have heard of some of these companies. 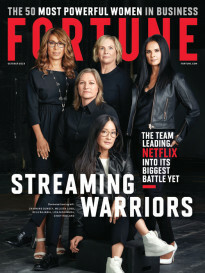 They have names like Apple, Google and Facebook, and they all have their sights set on the future of streaming video. Each one is approaching that goal somewhat differently, but regardless, they will inevitably cross paths with Netflix as the disruption of the video industry continues. That competitive pressure is only going to intensify, however. In that sense, Amazon is only the tip of the iceberg—and it’s also a competitor that Netflix has more or less been prepared for because the prospect of a standalone Prime Video seemed fairly obvious. At the moment, Netflix (NFLX) is the market’s favorite streaming player by far. The company’s share price climbed by more than 130% last year, making it the top performer in the S&P 500 thanks to enthusiasm about for lineup of hot TV shows and movies. Earlier this year, Netflix announced that it has expanded into more than 130 countries, also helping to push the stock up. The company’s name is now synonymous with the phenomenon of cord-cutting and streaming to the point where “Netflix and chill” has become a popular euphemism for a romantic encounter. Netflix is pouring billions into maintaining that market position. This year alone, the Los Gatos, Calif.-based company plans to spend more than $5 billion launching over 50 new programs, including 10 feature films, 30 kids shows, and 12 documentaries. Netflix has also been paying whatever it takes to snap up the rights to new movies at events like the Sundance Film Festival. It was one of the top bidders for a number of high-profile properties—as was Amazon. 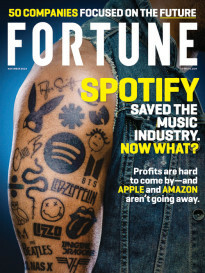 Apple and Google may not be in that category just yet, but they are clearly marshaling troops, and they both have the wherewithal to invest substantial amounts of money into expansion plans. Apple recently started filming an original series starring Dr. Dre, whose Beats headphone company it acquired in 2014 for $3 billion. A second series is in the works starring musician Will.i.am. For now, at least, Apple’s (AAPL) efforts seem to be primarily designed to market Apple Music and iTunes. But that’s unlikely to be the company’s only goal in streaming video or TV-style content, especially as it is trying to make Apple TV a leader in the digital set-top box business. Owning its own content is going to be a crucial step. Some followers think it might even buy HBO. According to a number of reports, senior Apple executives like Eddy Cue have been meeting with various Hollywood players in an attempt to either license or create several potential blockbuster TV show pilots. Those discussions are reportedly in the early stages, and some insiders say Apple is “a bit disorganized.” But money speaks volumes in Hollywood, and Apple has about $200 billion in cash that it can bring to the table. The iPhone maker has also become a trusted name in entertainment circles thanks to its years of investment in iTunes. Google (GOOG), meanwhile, has been making inroads into the digital TV business via YouTube with the launch of its YouTube Red subscription business and the creation of several TV-style streaming shows built around YouTube stars. These initial efforts don’t really look like much at first glance. Netflix fans are unlikely to see a show featuring video gamer PewDiePie as a threat to Netflix’s slate of programs like House of Cards or Narcos. But there’s no question YouTube has much broader ambitions than that, and Google has the ability to fund those projects at a level that would make Netflix’s investment pale by comparison. Creating original TV shows and movies is not easy, obviously. It takes more than just money thrown at the problem to make that happen on a consistent basis, and so far Netflix has a pretty great track record of success. But Apple and Google don’t have to create everything from scratch in the way Netflix is trying to—they can acquire it. It’s not just a case of buying the rights to a specific show or film, either. There are a number of large acquisitions that Google and Apple could make if they wanted to, including a stake in the Paramount movie studio, which troubled owner Viacom is reportedly shopping around, or the Starz TV distribution business. Hastings noted during the Netflix’s quarterly conference call on Monday that he’s not interested in acquisitions like Paramount or Starz because that’s just not the way his company does things. But Netflix’s competitors are unlikely to feel any such compunction. Compared with Apple or Google, Facebook (FB) may not seem like as much of a potential competitor for Netflix because it hasn’t spent much time on original content yet. For the moment, at least, the world’s largest social network seems fixated on live streaming video of news or entertainment events. But it’s not that much of a stretch to envision a time when Facebook might want to lock up the streaming rights to some original content. According to a number of reports, Facebook has already offered to pay celebrities, including some Hollywood stars, to use its new Facebook Live streaming service. It wouldn’t be a huge leap to see Facebook develop a TV-style show featuring one of those stars in the same way that YouTube has been trying to do. The bottom line is that the TV and movie industries are in an unprecedented state of flux as digital continues to change the landscape around them, and that kind of tectonic shift inevitably creates opportunities for both new players and existing ones. Netflix was one of the first to stake a claim to this new world, and it has built a substantial business by doing so. But now Netflix faces an onslaught of well-funded competitors.